Good luck outrunning this Mustang cop car on your tail. The Riverside Police Department based in California has just received a new squad car – and it’s not your standard Ford Crown Victoria. It’s a special edition, 730-horsepower Saleen Mustang that looks like something out of Transformers. Perhaps the department took inspiration from Italy’s Lamborghini Huracan cop car. The modified Mustang was specifically built and delivered to the department personally by CEO Steve Saleen, who wanted to build a Line of Duty Death memorial vehicle for the department. It started life as a 5.0-liter V-8 Ford Mustang before the tuner turned it into a Saleen 302 Black Label patrol car, kitting it out with a traditional black and white police livery with Riverside Police decals and emergency lights. The Saleen Mustang police car should have no trouble catching up with speeding criminals, thanks to its supercharged 5.0-liter V8 engine that produces 730 hp and 600 lb-ft of torque. As well as the upgraded engine, it also has revised suspension and a high-performance braking system ideal for chasing criminals in high speed pursuits. "This is one of the fastest police vehicles ever built,” Saleen’s CEO said proudly. “It is one of the most exciting projects Saleen Automotive has been involved in. If you are attempting to elude the police in the Riverside Department's jurisdiction, beware; your chances of getting away are quite slim." Suffice to say, the Savage Saleen is unlikely to be used for regular police duty, sadly. 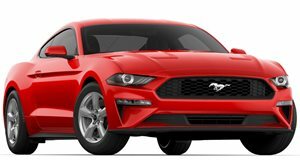 While the Mustang will be driven by trained officers that can tame its speed, cornering, and handling, it will predominately be used to raise awareness of fallen officers and promote the Police Officers' Assistance Fund, which offers finance for officer’s families in Riverside and surrounding communities.